And when STT says ‘failure’, we mean ‘failure’ at every level. 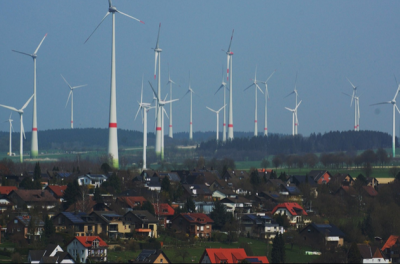 Because, if the objective of the so-called ‘inevitable transition’ to wind and solar includes the prospect of providing reliable and affordable power to all comers, then Germany’s Energiewende is not just a failure, it’s a monumental economic and social calamity. At 29.42 Euro cents a kilowatt-hour, Germans pay among the highest prices in the world. Much is being made about Nationals MP George Christensen and questions over subsidies of approximately $3,000. Whilst this should of course be investigated, I am more interested in the $800,000-$900,000 a year given in subsidies for each 3 MW wind turbine such as those owned and operated by wind developers AGL. At the same time, homes are being disconnected from the grid due to high electricity prices. The Macarthur wind farm has 140 3 MW turbines. That equates to between $112,000,000 – $126,000,000 a year in subsidies! But wait, there’s more: that subsidy doesn’t last for a single year. Oh no. A turbine operating now will continue to receive the REC subsidy for another 14 years, until 2031 – such that a single 3 MW turbine spinning today can pocket a total of $11,975,796 over the remaining life of the LRET. Not a bad little rort – considering the machine and its installation costs less than $3 million; and that being able to spear it into some dimwit’s back paddock under a landholder agreement costs a piddling $10-15,000 per year. State-sponsored theft never looked easier or more lucrative! 344000 households cut off power. Eat or heat is a real issue now and there will be more. Not long from now it will be millions who will have to make up their mind if they want to freeze through the winter and have full bellies, or they tough it out on bread rations and some heat. Don’t count for those voters to support mainstream parties that have enabled this folly in the first place. ‘Energiewende’ I translate as ‘Energy-wander’.